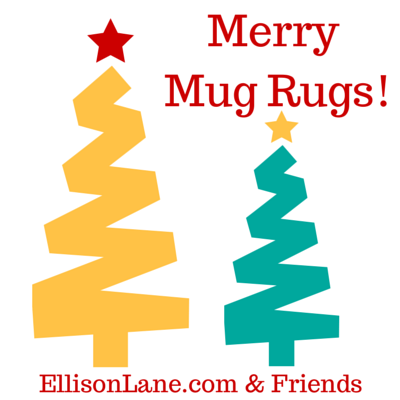 The Merry Mug Rugs blog hop has started at Ellison Lane. Be sure to check each day to see the guest bloggers that Jennifer has lined up to share some fun mug rugs and tutorials. Jennifer has lined up some fun and talented quilters to share their mug rugs. Somehow she snuck me in there too. Thanks for being part of it Di!